As a teenager, I had a boyfriend who insisted that sunscreen was just a marketing gimmick to sell a product nobody really needed. For some reason, his denial of the valid use of sunscreen made me irrationally irate. So one day at the beach, I decided to put SPF on one-half of my upper chest to prove a point. In my defense, my brain was not fully formed and my decision and impulse centers still had some wiring to organize. Of course, I ended up with a lopsided burn that will probably come back to haunt me years from now. Stupid boyfriend. Don’t worry, I dumped him and started making smarter choices. So, as I proved at my own embarrassing expense, sunscreen can be effective and valuable for preventing painful burns when we are exposed to long periods of intense sun. Especially for fair-skinned people such as myself. 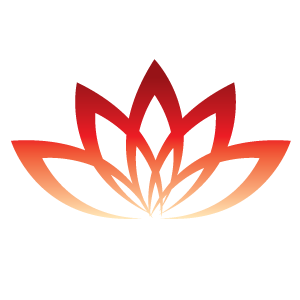 A bad burn, or even a regular dose of excessive exposure can can cause the DNA of our cells to mutate into skin cancers, damage the cells that produce our pigmentation leading to “age spots” or “sun spots” and will break down the collagen and elastin of our skin, prematurely weakening the integrity of the skin, causing sagging and wrinkles. Skin damage is going to happen to some degree anyway, if you are fortunate enough to live a nice long life. It is something to accept and not obsess over. However, if you have some interest in preventing skin cancers and minimizing visible accumulative damage, a little effort can go a very long way. Most of them have nasty ingredients that have high absorption rates through the skin and are toxic when combined with sun exposure. They act as carcinogens, irritants, allergens, or hormone disruptors. Many sunscreens have been blocking the good vitamin D3 making rays (UVB) and letting in the bad skin cancer causing rays (UVA). It now makes sense why skin cancer rates have risen to over one million cases a year. Sunscreens weren’t protecting from the rays that cause cancer. UVA rays penetrate deeper into the skin’s dermis and are more harmful than the UVB rays, which tend to stay on the skin’s surface and help our body make vitamin D3. Because UVB rays will stay on the surface of the skin, they are responsible for burning the skin. As a result, it was the UVB rays that were incorrectly blamed for causing skin cancers. Unless a sunscreen is classified as “Broad Spectrum” it will only block UVB and not the UVA rays. SPF stands for Sun Protection Factor. The number of an SPF refers to the amount of time skin can go before burning, or it’s ability to deflect UVB rays. Theoretically, applying sunscreen with an SPF of 50 would allow beach-goers to bare their skin 50 times longer before suffering a sunburn. Someone who would normally redden after 10 minutes in the midday sun could stay out for 8.5 hours before reapplying. Clearly, this is misleading. 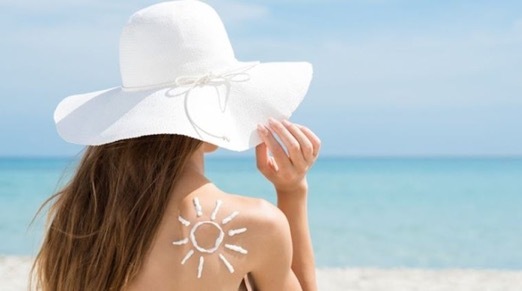 High-SPF products may give people a false sense of security, tempt them to stay in the sun too long, and suppress sunburns but increase the risk of other kinds of skin damage. The FDA is considering limiting SPF claims to 50+, as is done in other countries. 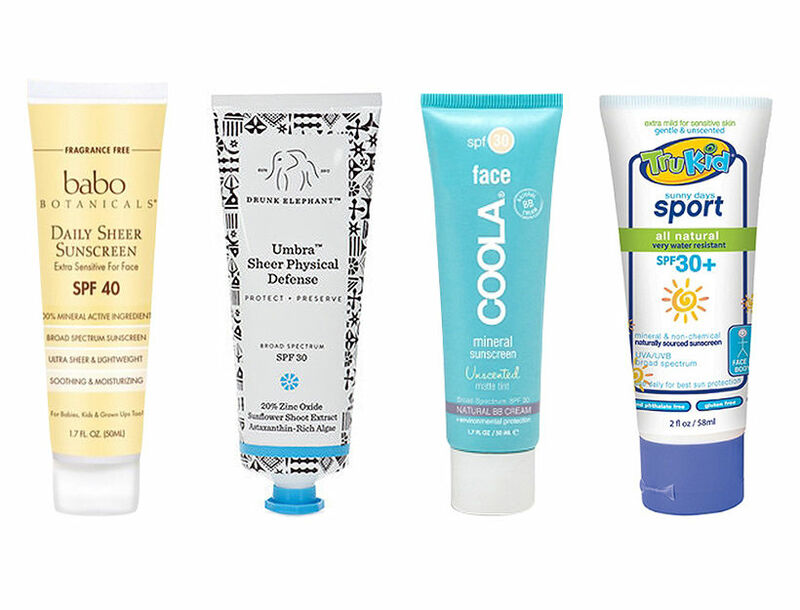 The Environmental Working Group (EWG) recommends that consumers avoid products labeled with anything higher than SPF 50 and reapply sunscreen often, regardless of SPF. Two European studies have detected the commonly used ingredient, oxybenzone, and other sunscreen filters in mothers’ milk, indicating that the developing fetus and newborns may be exposed to these substances (Schlumpf 2008, Schlumpf 2010). A 2010 of the University of Zurich study of Swiss mothers by Margaret Schlumpf found at least one sunscreen chemical in 85 percent of milk samples. Many commonly used chemical ingredients have been shown to cause hormone disruption or skin allergies. Avoid spray-on sunscreen. Even though the Food and Drug Administration has expressed concern about the safety and efficacy of spray sunscreens, companies continue to turn them out. Given the ease of applying them on squirming kids and hard-to-reach areas, these super-popular aerosolized sunscreens may seem like a dream come true. But they may pose serious inhalation risks. They certainly make it too easy to apply too little or miss a spot. Mineral-only sunscreens using zinc oxide and titanium dioxide tend to rate well in toxicity studies. They are stable in sunlight, offer a good balance between protection from the two types of ultraviolet radiation (UVA and UVB) and don’t often contain potentially harmful additives. The EWG reports there are currently no sunscreens on the market that meet all the requirements of being: safe, long lasting, effective and somewhat pleasant to wear. Because of this, EWG does not recommend sunscreens as the first defense against the sun. They suggest that the best sunscreen is shade or to be covered with sun protective clothes and use sunscreens only when needed. 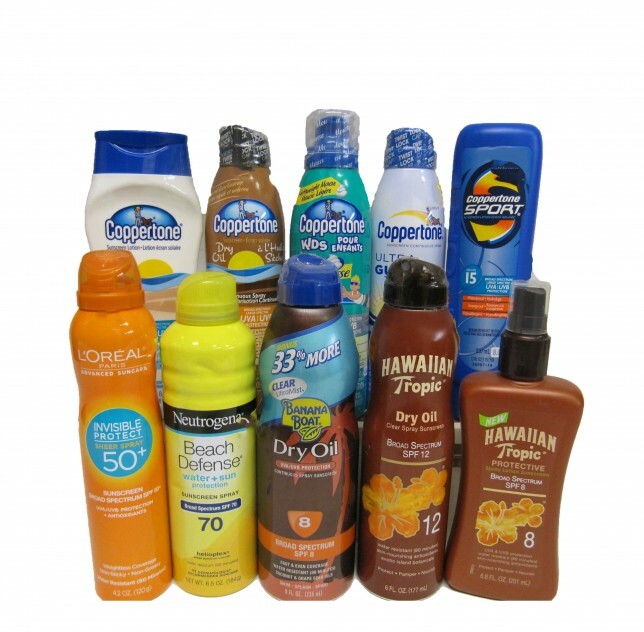 Here is the Environmental Working Group database for finding the least toxic sunscreen options. They rate products from 1 to 10. 1 for least toxic ingredients and 10 for the most toxic. I hope this helps to condense the overwhelming amount of information about sunscreen and SPF. I am protecting my face most of the year to stay ahead of those UVA rays but letting my arms and legs absorb the sun as long as it isn’t too intense for too long. I have already had some nasty burns as a kid and hopefully will be prepared enough to avoid any more in the future. 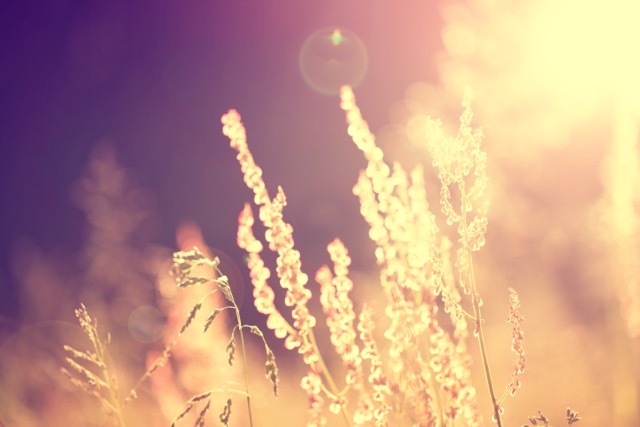 Check out the info I shared in Summer Skin Part I about how to healthfully enjoy the sun.